Get started on your journey to becoming a pro drummer for free, with the Pro Drummer Essentials Bundle. Featuring two of our best-selling resources: Boom Click Boot Camp and Mix Drums from Scratch- the Essentials Bundle is the perfect foundation for any drumming career. And, for a limited time, you can get the essentials pack for FREE. Yep- 100% free! Just click "Purchase Offer" - which of course really isn't a purchase (it really is FREE!) 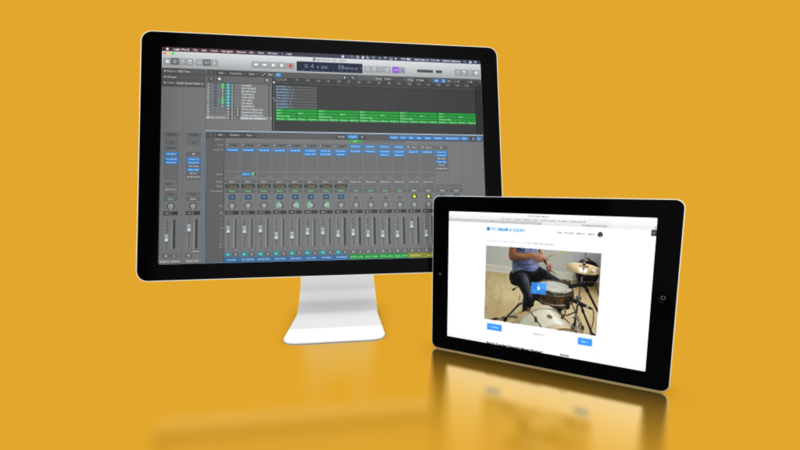 and create your Pro Drum Academy account- and you'll be able to get started right away! Boom Click Boot Camp - A 14 Day play-along video course that will help you become rock-solid at drumming with a click track. Mix Drums from Scratch Training - An over-the-shoulder video that walks you through how I mix my own drum tracks (which is something more and more producers and artists are looking for in a drummer). Additional free materials will be added soon! Boom Click Boot Camp - A 14 Day play-along video course that will help you become rock-solid at drumming with a click track. BCBC also includes drumless backing tracks, drum tuning resources, click-track MP3 downloads, and more!